Premier League champions Chelsea has announced their roster for the knockout rounds of the UEFA Champions League. 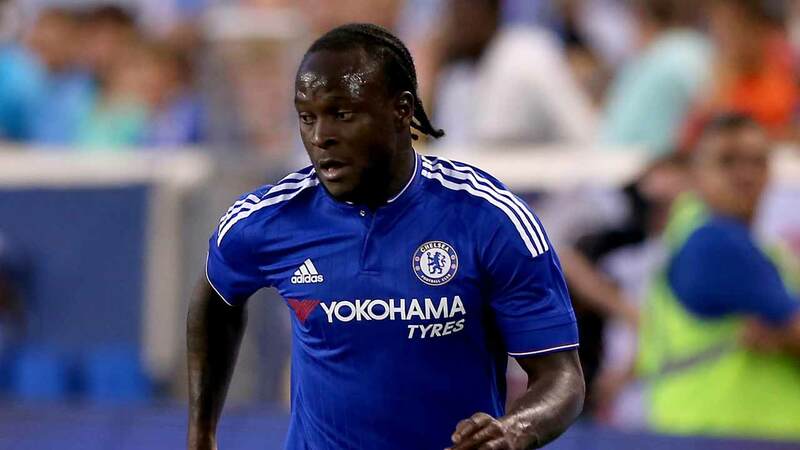 Despite the Blues making three new signings in the shape of Emerson, Olivier Giroud and Ross Barkley in the January transfer window, manager Antonio Conte has opted to retain Nigeria star Victor Moses in the squad. Midfielders Tariq Uwakwe and Faustino Anjorin have not been included on the list of players published by the official website of UEFA. The two teenagers qualify to play for Chelsea through the List B as they were born after 1 January 1996 and have played for the club for an uninterrupted period of two years. Moses has six appearances to his name in the Champions League since making his debut against Nordsjaelland in October 2012. Meanwhile, Arsenal has submitted their updated squad list for the knockout rounds of the UEFA Europa League following the conclusion of the January transfer window. Manager Arsene Wenger can count on Nigeria international Alex Iwobi, defenders Tolaji Bola, Aaron Eyoma and Joseph Olowu, and striker Xavier Amaechi. Iwobi will wear the number 17 jersey, Tolaji Bola 39, Aaron Eyoma 45, Olowu 87 while the exciting winger Xavier Amaechi will suit up with the number 72 kit. The five players have all been included on the Player List B as they are U21 players and have been on the books of Arsenal for an uninterrupted period of two years since their 15th birthday. Of the aforementioned players, only Iwobi has featured in this season’s Europa League and the other four would be hoping to make their debuts in the knockout rounds. The Gunners will travel to Sweden to face Alhaji Gero’s östersunds FK on Thursday, February 15.